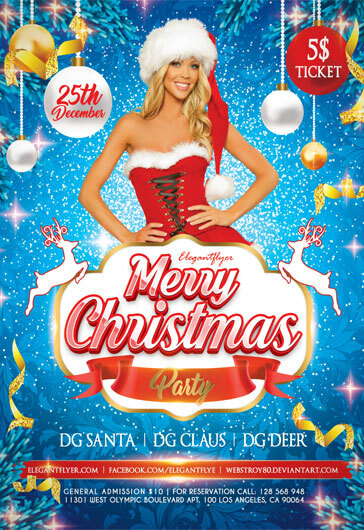 We are very glad to draw your attention to our new awesome Free PSD flyer template + Facebook Cover that we have called – Free Christmas party! 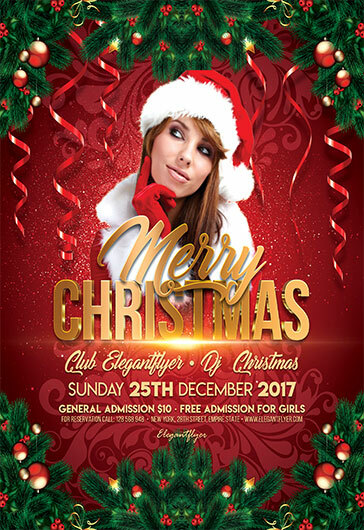 This flyer is very beautiful, festive and just fantastic and you can use it for promoting your night club and bar events, home parties and other Christmas events. 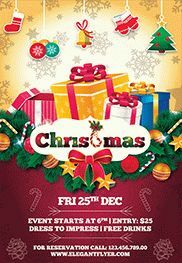 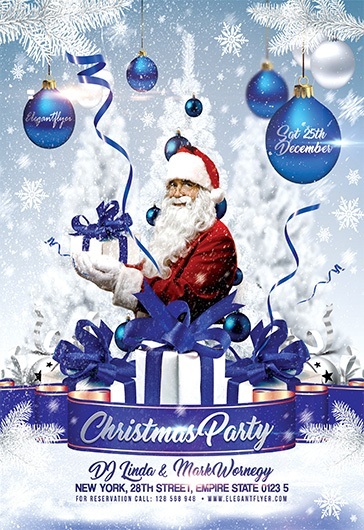 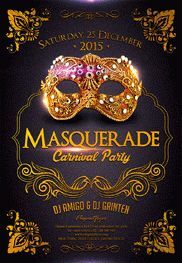 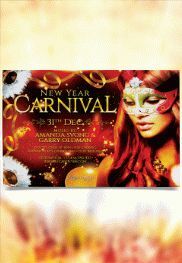 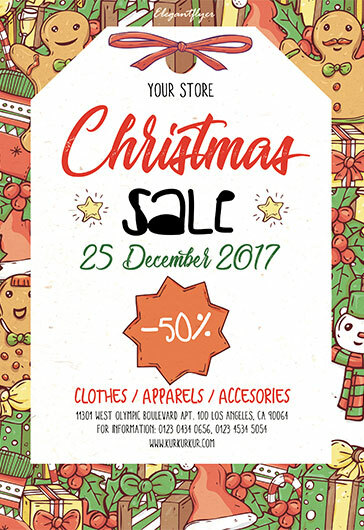 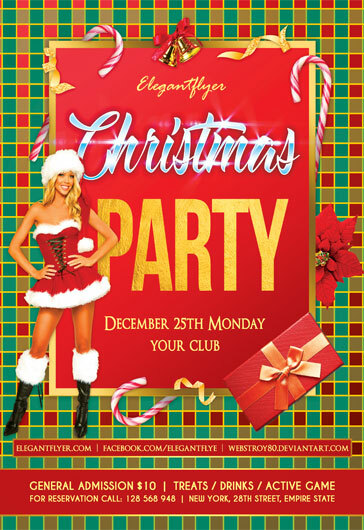 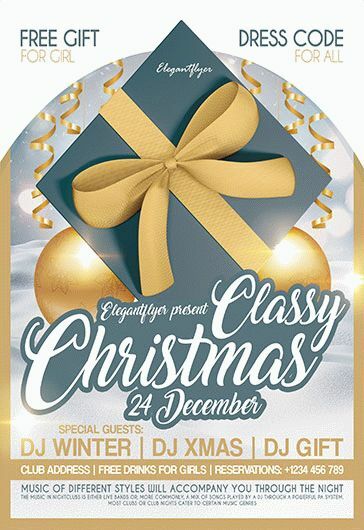 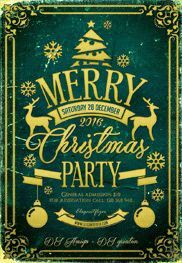 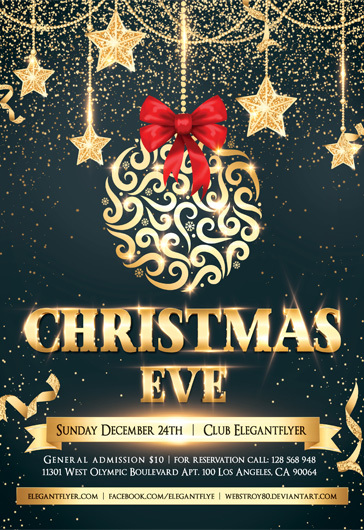 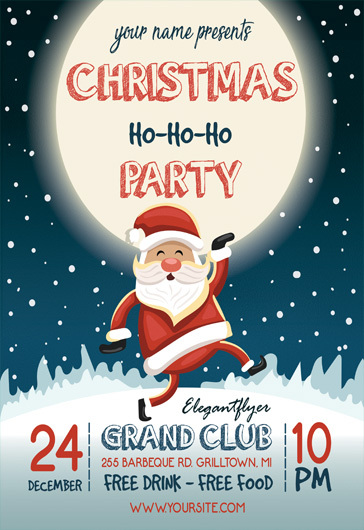 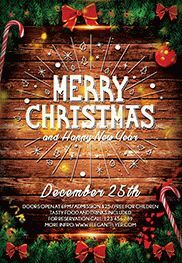 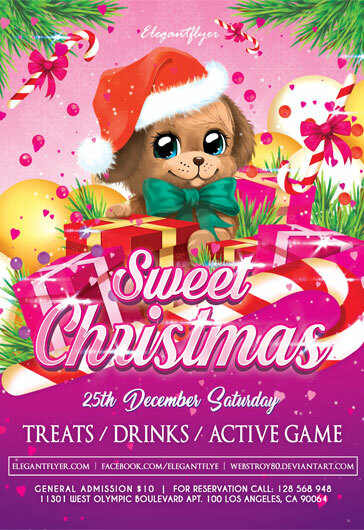 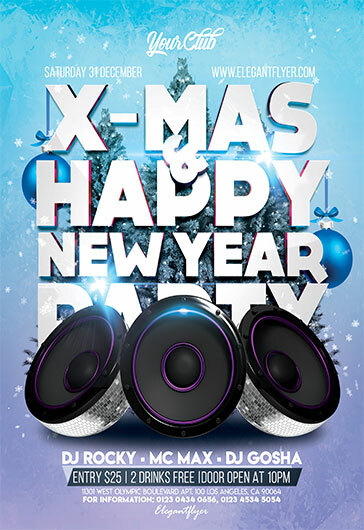 This Free Christmas party flyer is very qualitative and you can download it in PSD format. 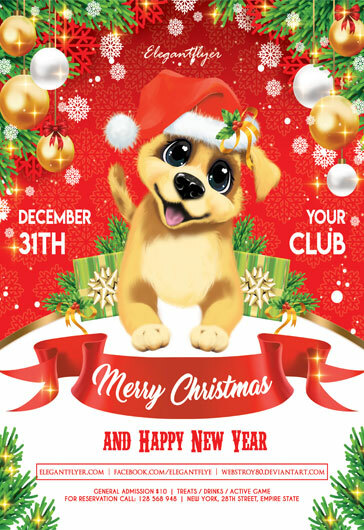 You should unzip it and open in Photoshop. 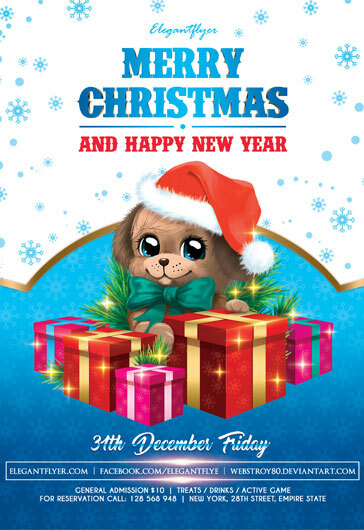 After this, any changes and necessary customizations will be available to you. 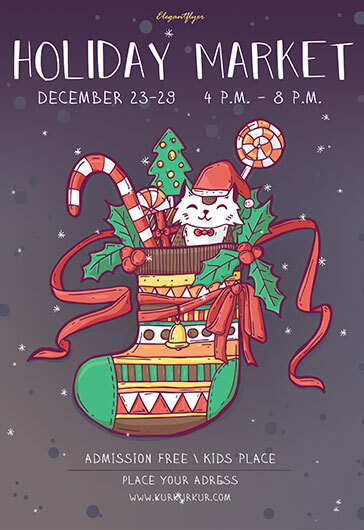 Be sure, that our free PSD flyer is very professional. 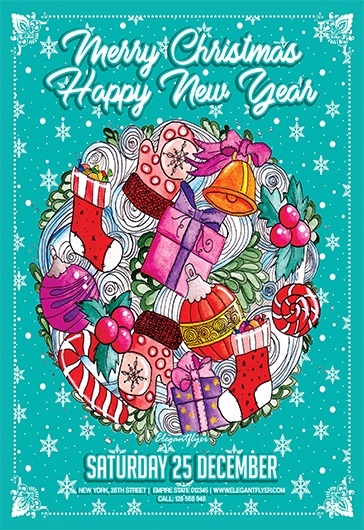 You won’t have any problems while working with it. 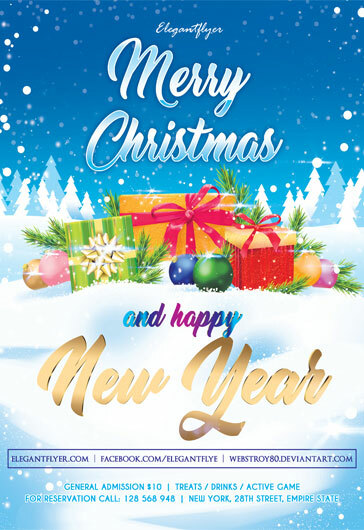 On our website you can find a lot of free PSD business cards, free flyers, brochures and other templates to use them for your future business ideas or work. 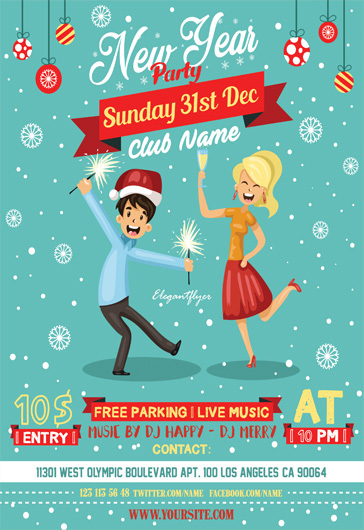 We create all of them in Photoshop and it means that you can easily make all the changes you wish to make this business card the best for your idea. 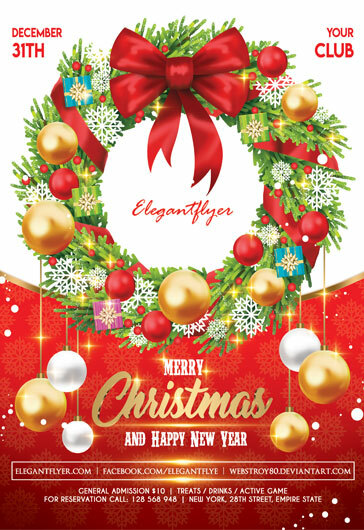 If you don’t know how to work with Photoshop, you can visit our Blog https://www.elegantflyer.com/news/ or find lots of training information on the Internet.